Description Black and white photographs of Thomas and Mary Shea, with family. 1. 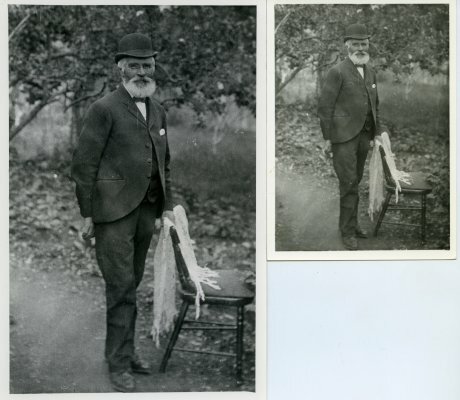 Thomas Shea, born 26 May 1836 in Castlemaine, Kerry, Ireland. Died 27 December 1916 in Nelson. (Tombstone indicates he was 82 years when he died.) Thomas was married twice, first to Johanna Tehan and then to Mary Mahoney. Photograph depicts Thomas standing outside holding the back of a chair. 2. Mary Shea (nee Mahoney), born in Ireland. Died 15 January 1944, aged 98 years. 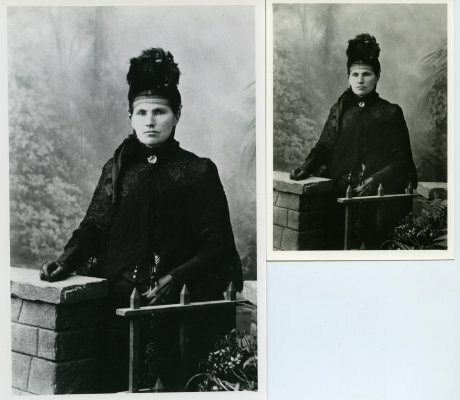 Photograph depicts May dressed in black standing beside a small gate and wall. 3. 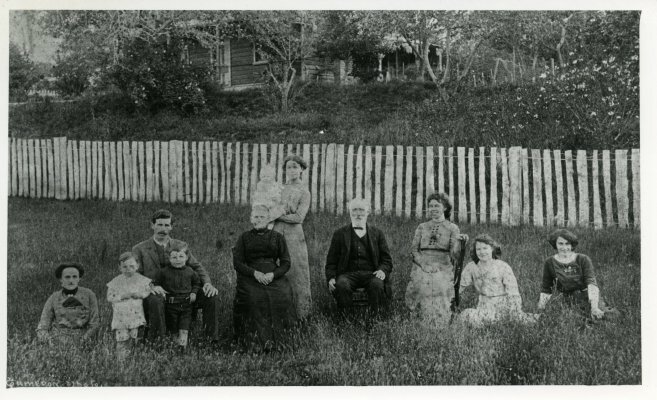 Thomas Shea and Mary Shea (nee Mahoney), seated in centre, outside their home in Wakefield, Nelson. 4. 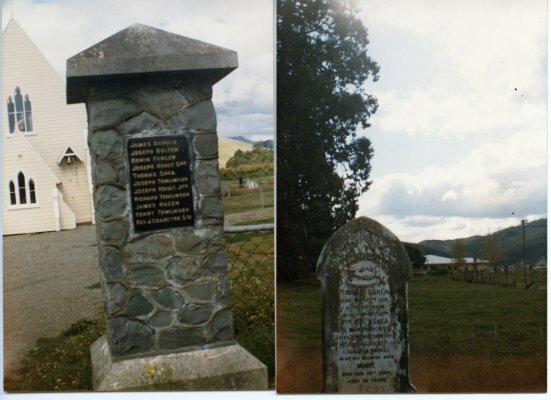 O'Shea Tombstone, photograph taken 1984. "Thomas O'Shea died Dec 27th 1916 aged 82 years. Also youngest son Pvt G.A. O'Shea 10/95 Main Body N.Z.E.F. died for his country at Heliopolis Jan 13th 1916 aged 26 years. Also his beloved wife, Mary, died Jan 15th 1944 aged 98 years." Taken at the Catholic Church graveyard in Wakefield, Nelson. It appears, both variations of the name O'Shea and Shea have been used in reference to Thomas and Mary Shea and some of their descendents.